Located in the heart of the Big Sky Meadow Village, the Crail Creek Condominiums provide great access to the Big Sky Golf Course in the summer as well as miles of groomed cross country skiing in the winter. 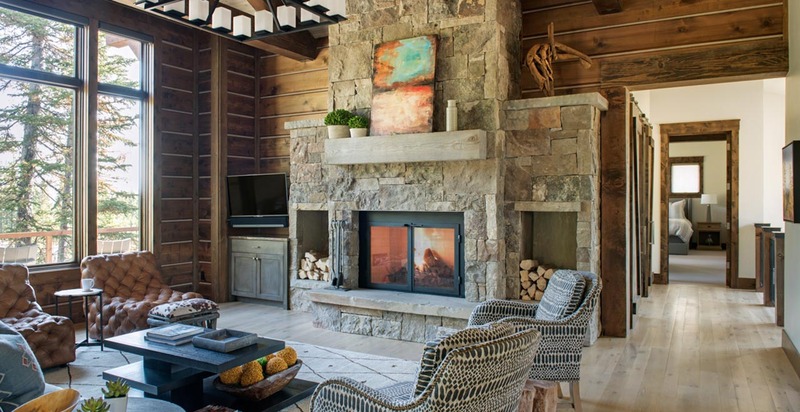 This Powder Ridge Cabin is a cozy retreat for the whole family. The Powder Ridge Cabins are only minutes from the shopping, dining and activities offered in the Big Sky Mountain Village. Ski-accessible upscale cabin with spectacular mountain views, outdoor living space and hot tub. Situated in one of Big Sky’s modern mountain developments. Modern 4 bedroom mountain home with luxurious furnishings and hot tub. Marrying modern architecture with a cozy mountain-home atmosphere, Tanager House is a 4-bedroom, 3-bath Silvertip cabin offering a light-filled. Fantastic Big Sky home for families and groups - Private hot tub, spacious deck, and updated features. Bear's Lair is the ideal Big Sky getaway in winter and summer, newly updated for families and larger groups. Private retreat on 20 acres with hot tub and Lone Peak views -- near skiing and Big Sky’s town center. Experience the beauty of Montana's unspoiled forests with the convenience of skiing. Luxury home with great views of Big Sky! Private hot tub, game room, home theater, close ski access. With expansive decks, and views to match, Moondance Lodge is surrounded by the natural beauty of Big Sky. Sophisticated and contemporary, the Swift Bear Lodge is a year-round getaway with spectacular mountain views of Lone Mountain. In winter, this property is ski accessible with easy access to the White Otter lift. Perched on a hillside overlooking Big Sky’s Mountain Village, Hunt’s View offers unobstructed mountain views and direct access to the slopes in the winter from the Cascade chairlift with two groomed ski run options. Luxury ski cabin with club amenities, a private hot tub and direct access to the Ousel Falls Trail. This luxurious Big Sky vacation home sits perched directly above the beautiful Ousel Falls, tucked away on a quiet, private lot. 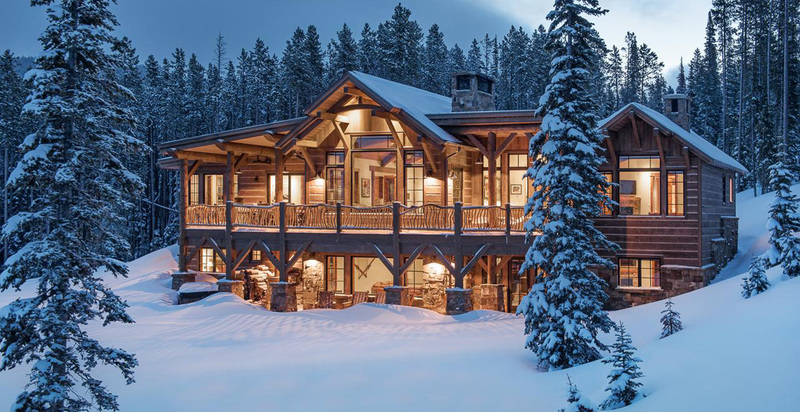 Tucked on the slopes of Lone Peak, this stunning Big Sky vacation home offers all the comforts one could need after a long and enjoyable day of adventure. With amazing views of Lone Peak, the Peak Lodge is the perfect home for your extended family vacation, and in winter ski in/ski out access to White Otter chair lift makes this a dream home. Beartooth Lodge is a beautiful private home nestled in aspens just south of Red Lodge, Montana off of US Highway 212. This home aims to bring the outside indoors and accomplishes this with its soaring high ceilings, warm exposed wood, and large windows. Montana is a wonderful place to visit, the great outdoors being one of the many reasons people venture there. That’s probably why it’s called the Last Best Place, known for its state parks and recreational areas, but also for the warmth of the people and the attention to the land. It is named after the Spanish word for mountain after all, why wouldn’t they feel so compelled to be close to their land. The best things about Montanan can be summed up just the same, the wonderful mountainous ranges, for skiing and hiking and enjoying wonderful nature trails. Annually people flock to the Glacier National Park and the Yellowstone Park, some of the USA’S finest Natural wonders. Yet people also come for the Rivers that run throughout Montana, including Balckfoot River, Bitterroot and Flathead. There will find people fishing and rafting, just enjoying the open fields and the rustic surroundings, it’s truly breath taking. 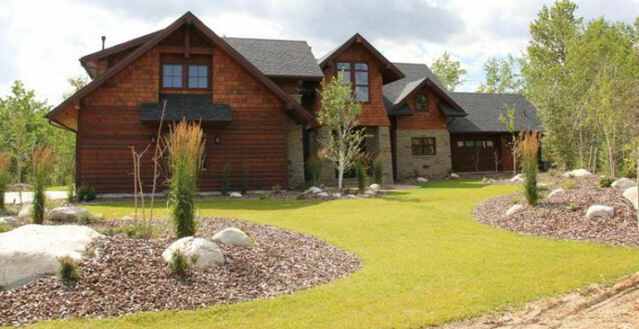 It’s no wonder we wanted to start to showcase some of the wonderful Ranches and Lodges that you and your family can rent during your time in Montana. Join a wonderful hiking group or take a bike out on the trails, just get away with your family or friends for a vacation you will never forget.